The development consists of 740,000 m2 of hotels, commercial, residential and mixed-use projects with ground floor retail facilities. The design balances indoor and outdoor public spaces to seamlessly integrate a balanced mix of office, hotel and residential space. The design has been developed in conjunction with ADNEC to serve and support the growing exhibition community and businesses. The creation of pedestrian friendly areas, inspired by the spaces found in New York, together with a desire to create a true visitor destination can be best exemplified by the creation of a 35,000m2 outdoor exhibition plaza area. This plaza area anchors the development by providing a lush, landscaped area which links the indoor area and the adjacent exhibition centre. The master plan and the individual design of its buildings will provide sweeping views to the canal and the waterfront area. Taller buildings have been sensibly arranged to rise along the eastern edge and fall towards the south. This distinctive arrangement provides a visible and recognizable landmark from across the harbour. 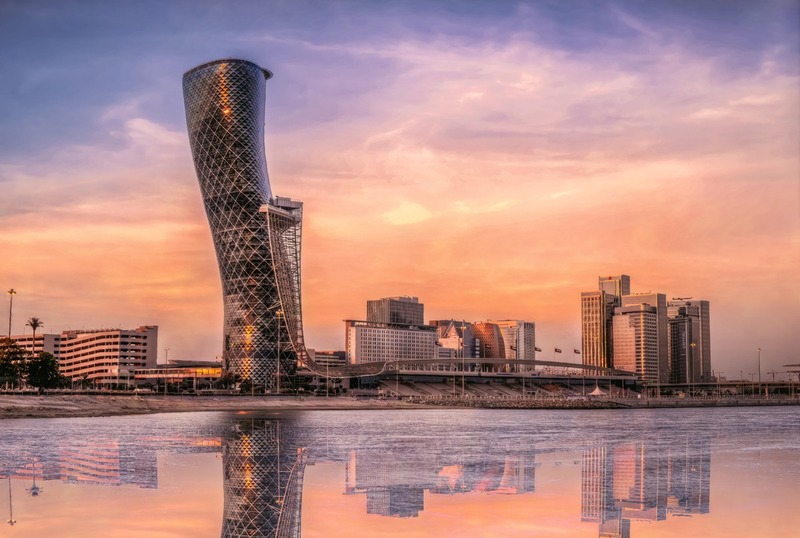 A distinctive feature of the development is the 35-Storey Capital Gate which includes the 5-Star Hyatt Hotel and 20,000 m2 of office and retail space.